The ‘seduction’ industry is not something that has been widely discussed until quite recently. The premise is that men who are seeking assistance in the romantic areas of their lives are invited to attend a day-long, or evening-long course, convened by so-called seduction ‘trainers’ who can, supposedly, help them to improve their “daygame” or “nightgame”. For those in need of more intense assistance, there are weekend- and week-long residential courses available in this area, too. It is, of course, worth noting that these experiences come with a considerable price tag. Rachel O’Neill in her book, Seduction: Men, Masculinity and Mediated Intimacy, shines a welcome light on this industry. By interviewing the men who partake in these seminars alongside the men who run them, O’Neill succeeds in highlighting the emotional, psychological and sociological fallout from use of this ‘product’. Incidentally, after reading her close analysis of the industry, it seems that a product is precisely what this whole process really is. Intermittent reminders from the trainers and the seduction companies themselves that these seminars are, in fact, just for “entertainment” purposes only serves to reinforce this. O’Neill’s research into this area is commendable. As a female researcher, she marvellously navigates what is often an uncomfortably chauvinistic and misogynistic setting, interviewing a range of trainers and attendees alike, in order to discover what motivates them to pursue this lifestyle. 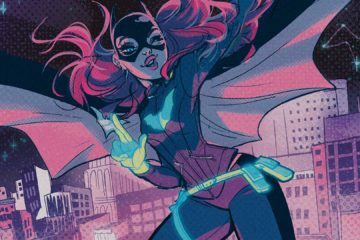 Her narrative throughout is informed by first-hand experience, garnered through attending events, shadowing one-to-one training sessions and face-to-face interviews with many men involved in the industry. This on-the-ground insight is paired appropriately with accessible and interesting research throughout. Presented in an easy-to-read fashion, the book allows O’Neill’s argument to accelerate along a natural trajectory: beginning with what the ‘work’ of seduction truly involves and ending with precisely why this work is damaging. It is a final conclusion that I am entirely inclined to agree with. What remains especially interesting to me is the clear reluctance from members of the seduction industry – although it appears “seduction community” is the preferred term – to let a woman into their sacred circle. However, on receiving permission from one trainer to begin with, O’Neill appears to have then been met with unashamed openness from male attendees, who were only too willing to discuss their seduction experiences and indeed why they strive to remain part of this booming sexual franchise. These social improvements are endorsed by another interviewee, Ravi, who comments: “In my professional life I have drastically and visibly seen the difference. Because now I’m more confident presenting something in front of an audience – before I was not.” While this newfound confidence at work is certainly not problematic, later interviewees were quick to highlight that workplace performance was not the only thing that had changed as a result of seduction training. Significantly, these early comments on gender and power dynamics prove to be a foreshadowing of what is to come. Later interviews position seduction as sport while it is also, on more than one occasion, discussed in terms that make seducing high numbers of women into nothing more than a challenge or a personal achievement to be boasted about with one’s peers. Furthermore, this publication highlights certain ‘accredited’ individuals within the industry that repeatedly push the agenda that drives this seduction community on. There are so-called industry experts, such as Yad Barre, the self-identified “God Father of Day Game”. Barre perpetuates the myth of the meek woman waiting to be swept off her feet by the Prince Charming figure, evidenced by comments such as: “The reason women watch romantic comedies and read romantic fiction novels is because it plays into their fantasy of how they’ll meet the guy of their dreams.” In addition to their meekness, women are here reduced to a commodity which can either be bought or simply persuaded by the right pick-up line. And, while this industry is doing no favours to women, it is certainly doing little to nothing for the men who find themselves drawn into these dynamics on a long-term basis – something that O’Neill discusses at length in her final conclusion. 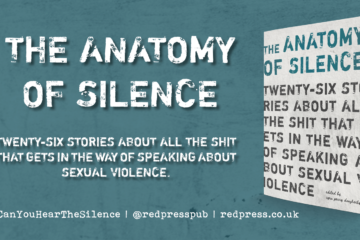 Despite the problematic attitudes and the uncomfortable anecdotes – there is more than one account of sexual coercion and indeed sexual assault provided in this book, whether the tellers realise their admissions or not – O’Neill continues her research in a way that seems nothing short of admirable. The book remains insightful and, while given the raw material of first-hand research through the interview series, second-hand research is introduced again as a means to counter but also to support some of the ideas expressed by the men in the industry. This means that the research remains objective despite the provocative material that is unearthed in O’Neill’s work. 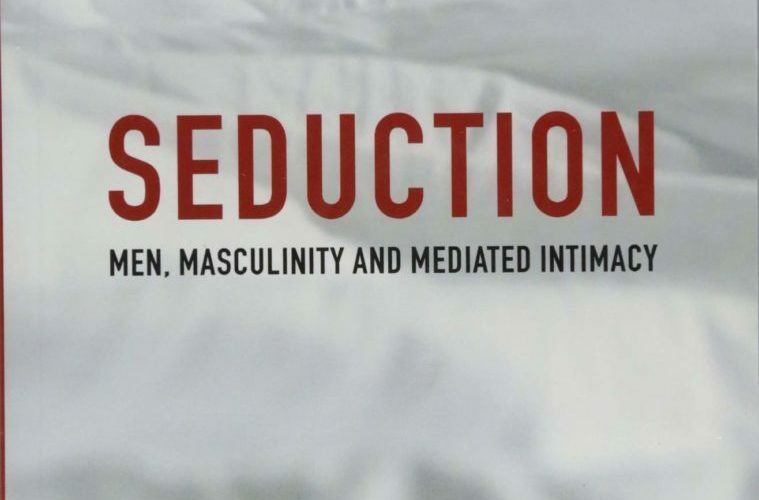 Seduction: Men, Masculinity and Mediated Intimacy is a long overdue publication that will hopefully allow open dialogue around the seduction industry and its overall impact. O’Neill’s work serves as an important introduction into this area of discussion and, despite being a difficult book to read due to the occasional descriptions of sexual coercion and assault, is certainly worth spending some time with. 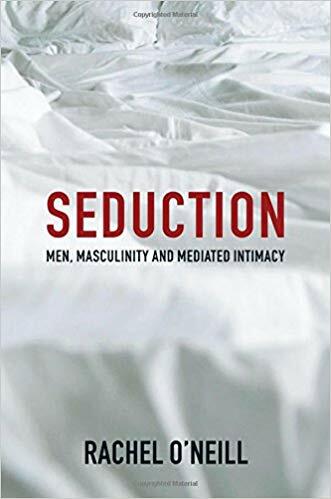 Seduction: Men, Masculinity and Mediated Intimacy by Rachel O’Neill is published by Polity and available to purchase as an eBook and paperback. The image used is the book cover. The background image is a photo of an unmade bed with crumpled looking white sheets. The title of the book ‘Seduction’ is in the foreground in red block-capitals. The sub-title ‘Men, Masculinity and Mediated Intimacy’ appears below the title in smaller, black block-capitals. The author’s name, ‘Rachel O’Neill’ appears at the bottom of the cover in black block-capitals.